Born in Longview, Texas and raised in the small East Texas town of White Oak, Austin is now a proud Oklahoman. He currently resides in Oklahoma City, Oklahoma. Austin enjoys spending time with family, working out, attending concerts, trivia and is an avid sports fan (GO Thunder!). In his free time, Austin enjoys giving back to the community by volunteering/coaching inner-city youth basketball and baseball teams. 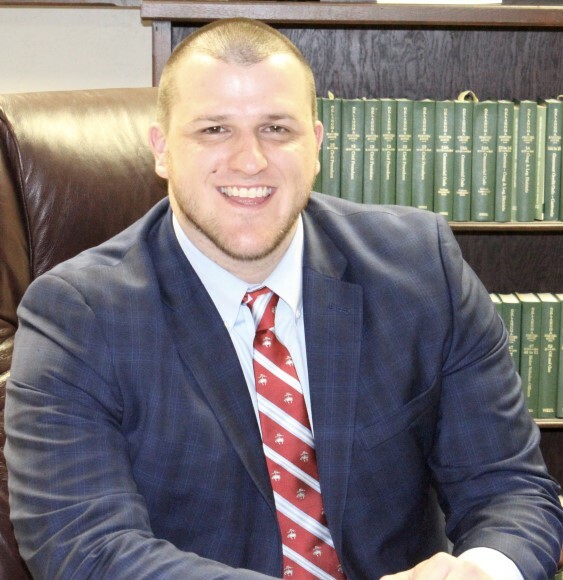 Austin graduated from White Oak High School in 2009 in the Top 10% of his class and attended Louisiana Tech University on the Outstanding Student Scholarship where he graduated in 2013 with a Bachelors Degree in Biology with a minor in Chemistry. After working for a large manufacturing and transportation company immediately after college, Austin enrolled at the Oklahoma City University School of Law where he served as 1L Class Vice-President, was a member of Phi Alpha Delta (PAD), was on the Dean’s List, was a student member of the William J. Holloway Inn of Court and graduated in 2017. Admitted to practice in the State of Oklahoma allowing him to practice in all Oklahoma state, administrative and municipal courts. Mr. Walters is also admitted to practice in the U.S. District Court for the Western District of Oklahoma. General Civil Litigation, Family Law (Divorce, Adoptions, Deprived Cases, Paternity, Child Custody, Child Support), Probate, Guardianships, Criminal Law, Automobile and Trucking Collisions, Administrative Hearings, Employment Law, Estate Planning, Product Liability, Medical Malpractice, Contracts and Personal Injury. Austin is a member of the Oklahoma Bar Association, is currently serving as President of the Canadian County Bar Association, Oklahoma Association for Justice (OAJ), The American Association for Justice (AAJ), Leadership Canadian County, Oklahoma Criminal Defense Lawyers Association and the Regional Food Bank of Oklahoma’s Leadership Council.